Get outdoors at Twin Peaks and Lincoln Park. There's much more to do: snap pictures at Golden Gate Bridge, take in the waterfront at Fisherman's Wharf, do a tasting at Press Club, and take a stroll through North Beach. To see maps, reviews, traveler tips, and other tourist information, refer to the San Francisco trip planning tool . Sydney, Australia to San Francisco is an approximately 17-hour flight. You can also do a combination of flight and train; or do a combination of flight, shuttle, and bus. You'll gain 18 hours traveling from Sydney to San Francisco due to the time zone difference. Plan for much colder temperatures traveling from Sydney in January, with highs in San Francisco at 17°C and lows at 9°C. Wrap up your sightseeing on the 23rd (Sat) early enough to travel to New York City. You've now added Radio City Music Hall to your itinerary. Step out of the city life by going to Bronx Zoo and Hallett Nature Sanctuary. And it doesn't end there: go for a walk through Central Park, grab your bike and head to East River Waterfront Esplanade, settle in for a delightful tour with a horse-drawn carriage tour, and wander the streets of Times Square. Before you visit New York City, use our trip planner to discover what you can do and see there. Traveling by combination of flight and bus from San Francisco to New York City takes 9 hours. Alternatively, you can fly; or drive. The time zone difference moving from Pacific Standard Time (PST) to Eastern Standard Time (EST) is 3 hours. When traveling from San Francisco in January, plan for a bit cooler days in New York City, with highs around 5°C, while nights are much colder with lows around -5°C. Finish up your sightseeing early on the 27th (Wed) so you can travel to Orlando. Your list of things to see and do now includes NASA Kennedy Space Center Visitor Complex, Disney's Hollywood Studios, Epcot, and other attractions. Change things up with a short trip to American Space Museum & Space Walk of Fame in Titusville (about 1 hour away). Pack the 27th (Wed) with family-friendly diversions at Discovery Cove. There's still lots to do: make an unforgettable trip to Happily Ever After Fireworks. To see other places to visit, ratings, photos, and tourist information, read Orlando online trip planner . Traveling by flight from New York City to Orlando takes 6 hours. Alternatively, you can do a combination of bus and flight; or drive. Traveling from New York City in January, things will get warmer in Orlando: highs are around 25°C and lows about 13°C. Cap off your sightseeing on the 1st (Mon) early enough to travel to Niagara Falls. On the 1st (Mon), admire the sheer force of Niagara Falls, Head underground at Cave of the Winds, and then enjoy breathtaking views from Niagara Falls Observation Tower. Keep things going the next day: admire the sheer force of Bridal Veil Falls and then try your luck at Seneca Niagara Casino. To find maps and more tourist information, go to the Niagara Falls trip itinerary planner . Fly from Orlando to Niagara Falls in 5.5 hours. Alternatively, you can drive; or take a train. Traveling from Orlando in February, things will get much colder in Niagara Falls: highs are around 0°C and lows about -9°C. Wrap up your sightseeing on the 2nd (Tue) to allow time to travel to Keystone. 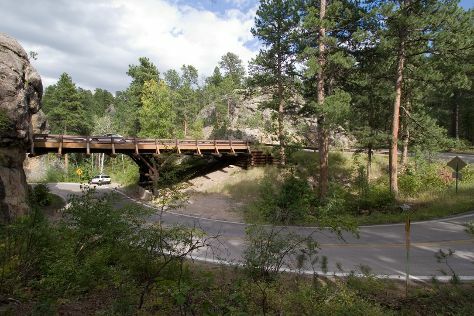 Kick off your visit on the 3rd (Wed): take a memorable drive along Iron Mountain Road, take some stellar pictures from Breezy Point Picnic Area, then explore the striking landscape at Needles Eye Tunnel, and finally view the masterpieces at Insideout. For more things to do, photos, ratings, and more tourist information, read our Keystone trip itinerary builder app . You can fly from Niagara Falls to Keystone in 8.5 hours. Other options are to drive; or do a combination of train and bus. You'll gain 2 hours traveling from Niagara Falls to Keystone due to the time zone difference. Plan for little chillier nights when traveling from Niagara Falls in February since evenings lows in Keystone dip to -12°C. 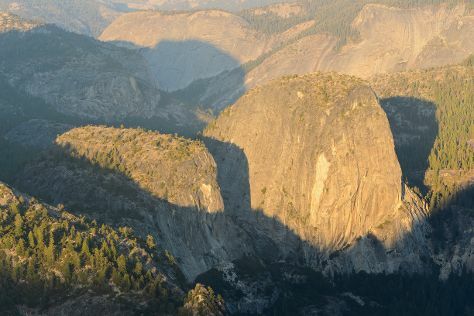 You'll set off for Yosemite National Park on the 4th (Thu). Get in touch with nature at Yosemite Ski and Snowboard Area and Mariposa Grove of Giant Sequoias. And it doesn't end there: tour the pleasant surroundings at Cathedral Beach Picnic Area, take in the dramatic natural features at El Capitan, don't miss a visit to Yosemite Conservation Heritage Center, and snap pictures at Pohono Bridge. To see ratings, photos, and more tourist information, you can read our Yosemite National Park journey builder . Traveling by combination of flight and car from Keystone to Yosemite National Park takes 8.5 hours. The time zone changes from Mountain Standard Time to Pacific Standard Time, which is usually a -1 hour difference. While traveling from Keystone, expect somewhat warmer days and about the same nights in Yosemite National Park, ranging from highs of 10°C to lows of -9°C. Cap off your sightseeing on the 8th (Mon) early enough to travel to Grand Canyon National Park. Step out of the city life by going to Grand Canyon South Rim and Hopi Point. There's lots more to do: make a trip to Grand Canyon Village, explore the stunning scenery at Yavapai Point, add some entertainment to your itinerary with Hopi House, and trek along South Kaibab Trail. For other places to visit, traveler tips, where to stay, and other tourist information, use the Grand Canyon National Park road trip planning site . Traveling by combination of bus and flight from Yosemite National Park to Grand Canyon National Park takes 13 hours. Alternatively, you can do a combination of bus and shuttle; or take a bus. The time zone changes from Pacific Standard Time to Mountain Standard Time, which is usually a 1 hour difference. In February, plan for daily highs up to 11°C, and evening lows to -9°C. Cap off your sightseeing on the 13th (Sat) early enough to travel to Las Vegas. Las Vegas is known for nightlife, shopping, casinos, historic sites, and nature. 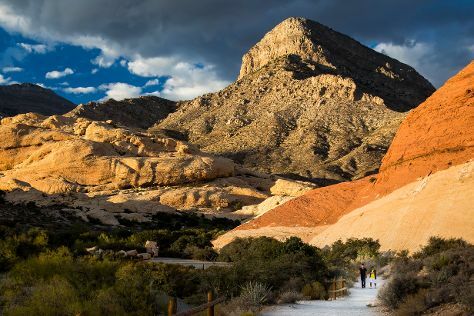 Your plan includes some of its best attractions: take in breathtaking views at Red Rock Canyon National Conservation Area, try your luck at The Mirage, raise your glass at Double Down Saloon, and don't miss a visit to Paris Las Vegas. To find ratings, more things to do, other places to visit, and more tourist information, read Las Vegas trip itinerary planner. You can do a combination of flight and car from Grand Canyon National Park to Las Vegas in 4.5 hours. Other options are to drive; or take a shuttle. Traveling from Grand Canyon National Park to Las Vegas, you'll gain 1 hour due to the time zone difference. While traveling from Grand Canyon National Park, expect somewhat warmer days and warmer nights in Las Vegas, ranging from highs of 21°C to lows of 8°C. Finish your sightseeing early on the 17th (Wed) to allow enough time to travel back home.